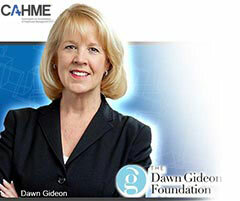 CAHME is proud to offer to students from our accredited programs three distinct scholarships. 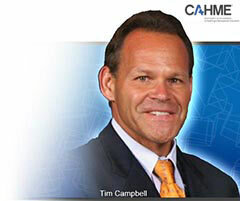 The CAHME/Tim Campbell Scholarship is named in memory of Tim Campbell, a CAHME board member who personified a commitment to service and volunteerism. Tim believed in hard work and selfless service in his professional and personal life, and believed that true success is measured through relationships that help others reach their full potential. The Scholarship is targeted to supporting student leaders who selflessly act to help others in the process of advancing the quality of healthcare. 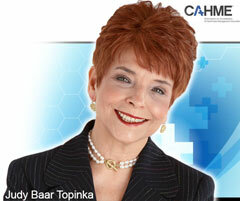 CAHME/Judy Baar Topinka Foundation Scholarship for Health Policy. The CAHME/Judy Baar Topinka Foundation Scholarship for Health Policy is name in memory Judy Baar Topinka, who dedicated herself to a lifetime of service to the people of the State of Illinois both in government and as an award-winning journalist. The Scholarship is targeted to supporting student living expenses/other costs while they are pursuing a health policy internship/fellowship.